Intelligent AR creation tool that dynamically shapes AR product experiences. Turn your content into sales-driven campaigns using our simple and powerful AR creation tool. Our EvolveAR creator can be used without any technical knowledge or coding skills. Transform your ads, magazines, brochures, and posters and much more into immersive AR experiences. With EvolveAR, you can easily create and manage your campaigns, add interactive media using widgets, and publish an interactive AR experience all by yourself. From multi-national companies to small businesses; EvolveAR Creator allows anyone to make their own AR experiences within minutes and reimagine how you interact with the world. Make impactful business decisions with EvolveAR dynamic data dashboard and reporting app. Our insightful Analytics gives you complete access to your live business data, and all the tools you need to explore, drill, analyze, and annotate data on any device. 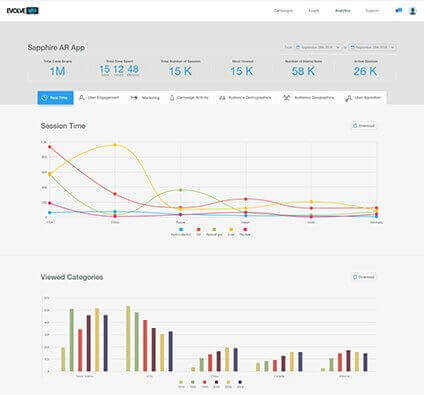 Analyze campaigns’ result through a comprehensive analytics dashboard. It also helps you get more out of your data investment and get an edge over the competition—NO DATA SCIENCE DEGREE REQUIRED! Share your creation with the free EvolveAR App for a magical experience. Get started with augmented reality with EvolveAR Scanner app. With our Scanner app, you can view thousands of AR experiences built on EvolveAR Creator. The application is built with our in-house computer vision algorithms, and data science. The world is your audience and our Scanner is your portal to augmented reality. 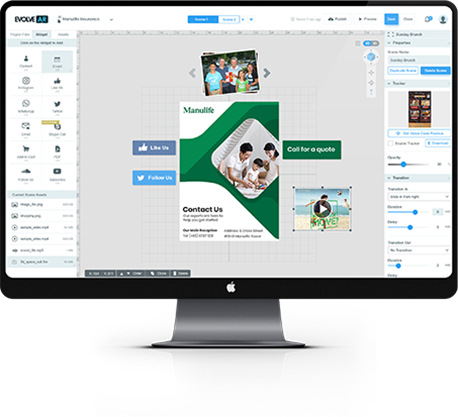 Simply, publish your content and experience the magic using EvolveAR Scanner. 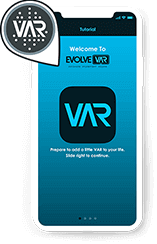 The EvolveAR Scanner app is free to download without any hidden costs. 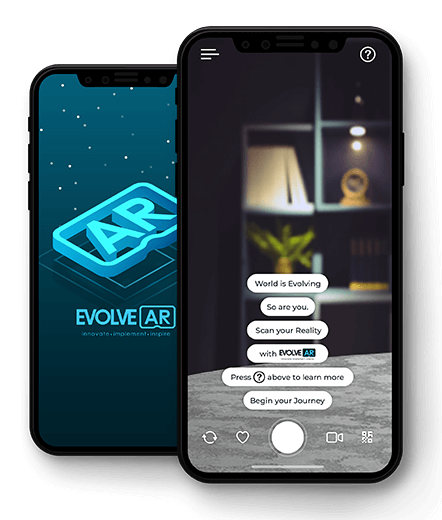 Download the free EvolveAR Scanner app available on Google and App Store to explore hundreds of different AR experiences created by the people. Start building your AR experiences using our powerful Augmented Reality tools.